Oak Notice Board Magnetic. Oak wood effect notice board with a magnetic back that can also be used as a white board. 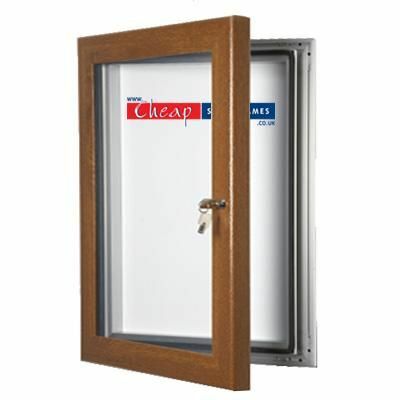 The oak effect frame looks nice but is made of aluminium so is very practical. 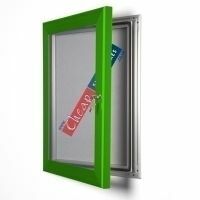 The rubber seal is hidden when the door is closed, but makes the notice board waterproof so ideal for use either inside or outside. The door is locked with a key so is great for security. 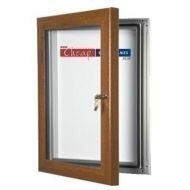 Available in a range of sizes at great prices from only £70 + VAT and shipping.